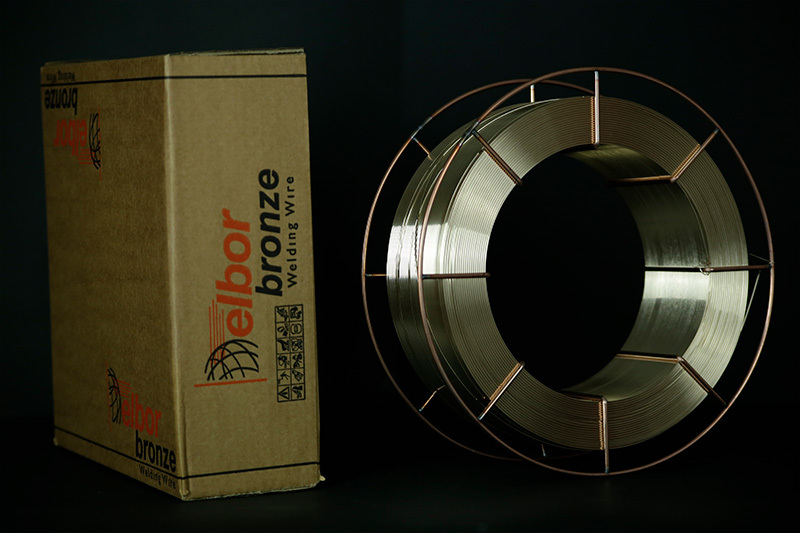 The Elbor-ECO (Bronze) wires are manufactured by using selected rods from their chemical properties. 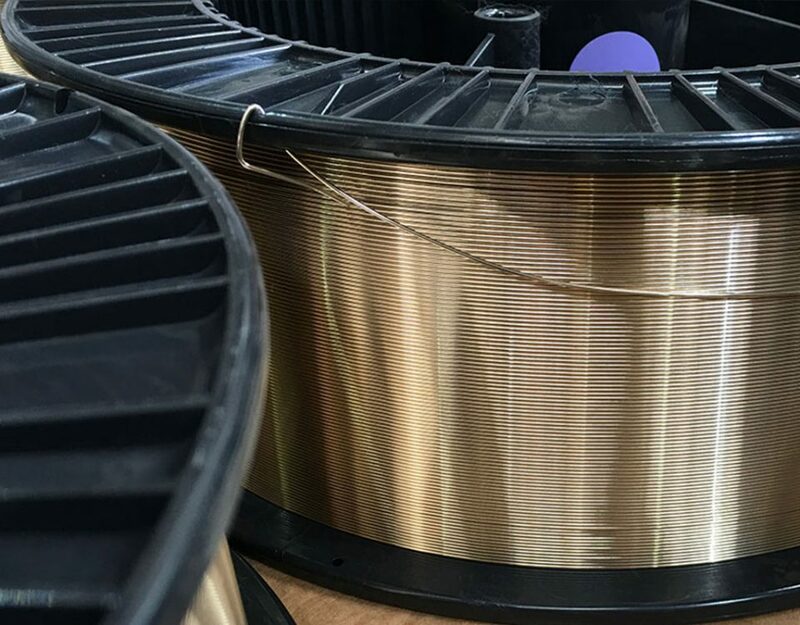 The surface is coated with a film BRONZE base. The colour is shiny gold. 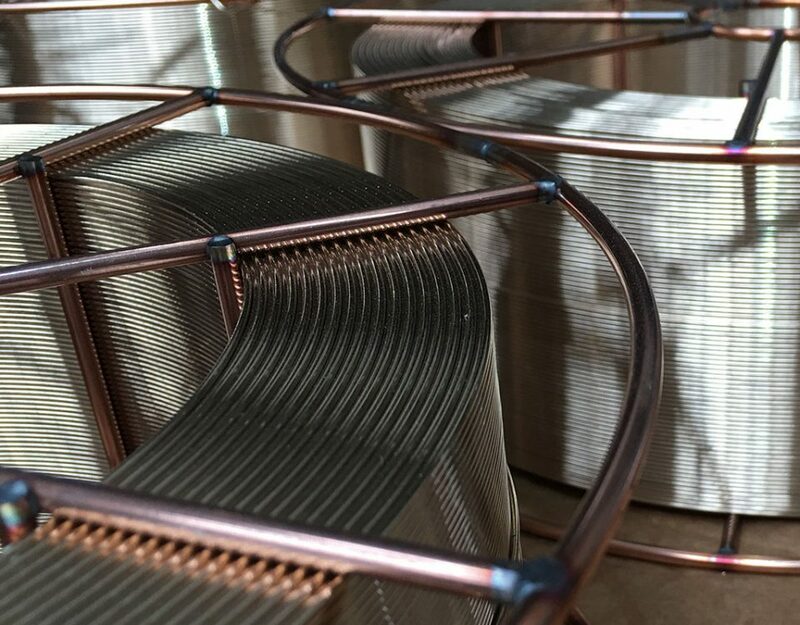 The main difference from the traditional coppered wire is the specific chemical solution used in the bath process: combination of copper sulphate, zinc and stannum. Such mix releases a clearer weld bead than the standard copper wire and the exclusive manufacturing process allows to obtain the surface of the wire very compact and clean. 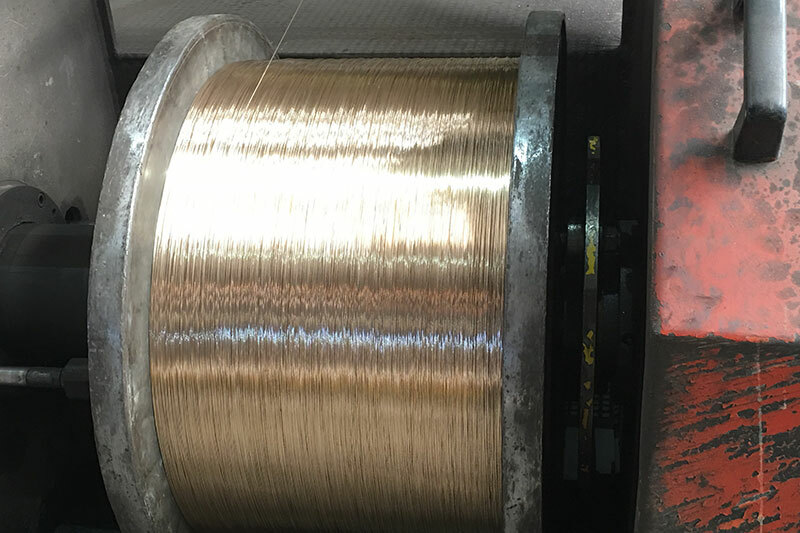 The Elbor-ECO finds specific application in the robotic welding process with a very high power density as well as a high-speed drag. 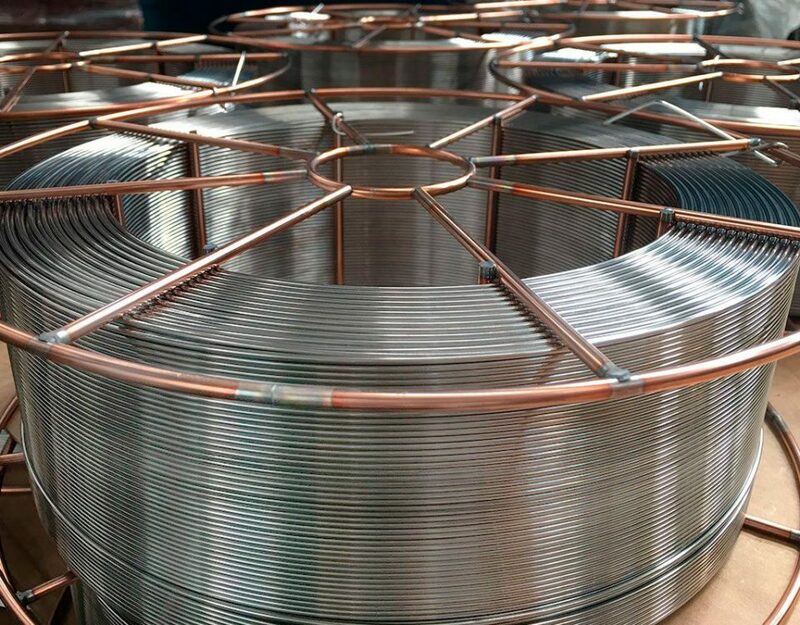 The special coating with the action of particular concentrations of the alloying elements of steel base, permit the use of the ECO (Bronze) wires with maximum power density up to 25-30% over normal copper wires. 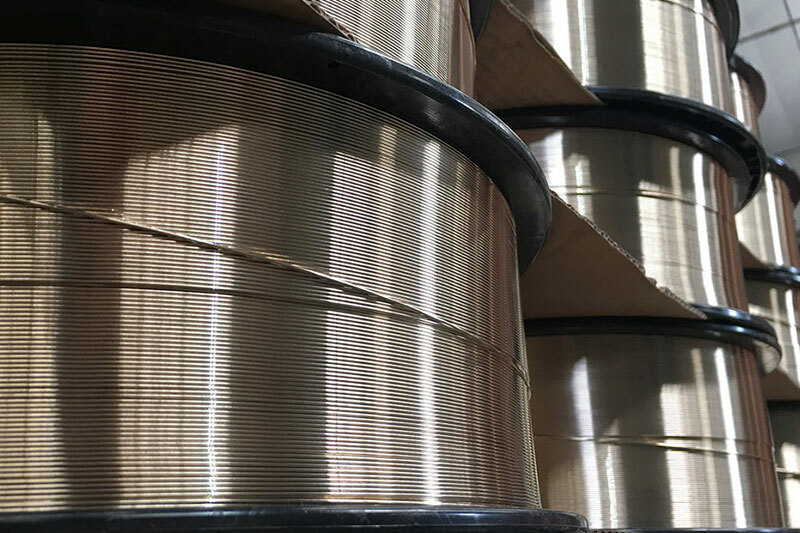 The special production process and the lower amount of copper on the ECO (Bronze) wire surface, allow minimum spattering actually possible in an automatic welding process. 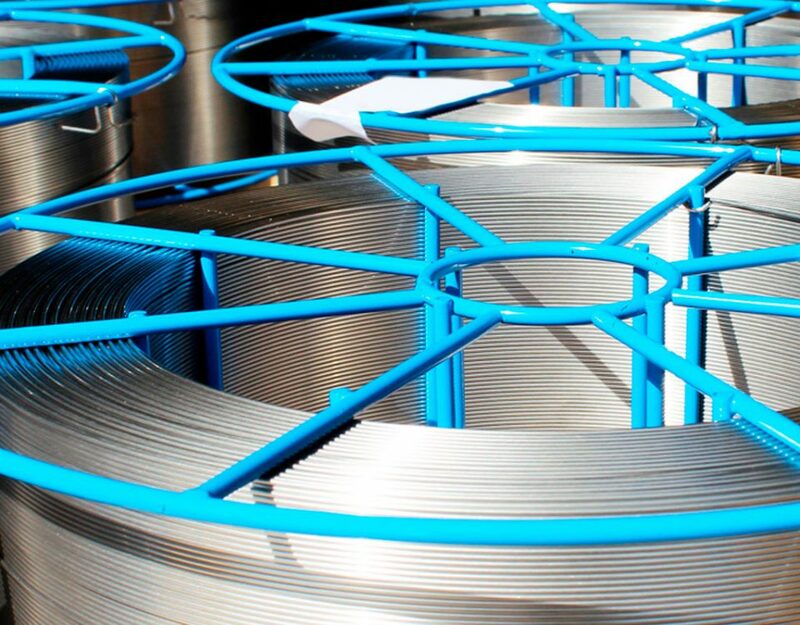 The user will experience a significant reduction in the consumption of tips and guide rollers. 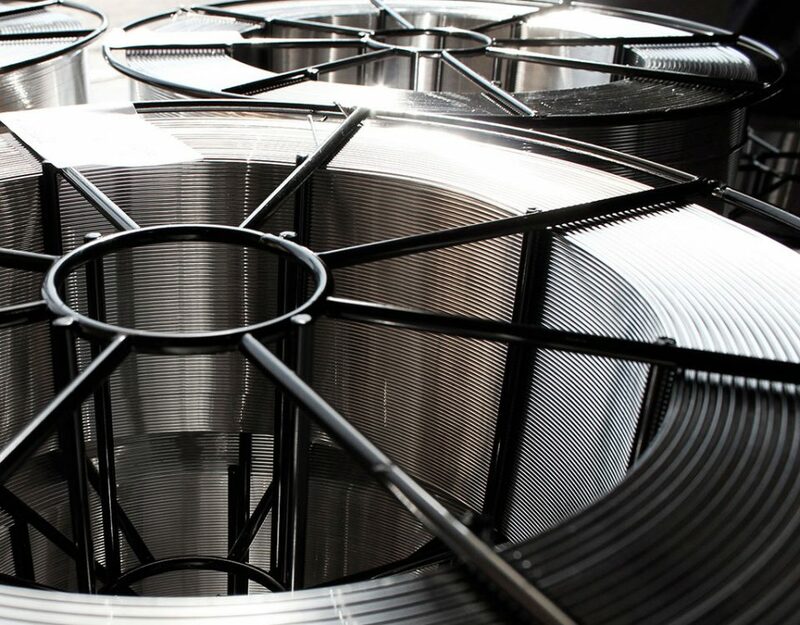 All this will lead to reduce maintenance costs and increase the welding productivity.